I made this game mainly for my students to practice saying dates, but you can change the questions to fit any topic. There are 5 rounds with 10 questions each in each round. I had a small competition between each round to choose the next contestant. I let the students call on their classmates for the "phone a friend" lifeline, or take a class vote for "poll the audience". 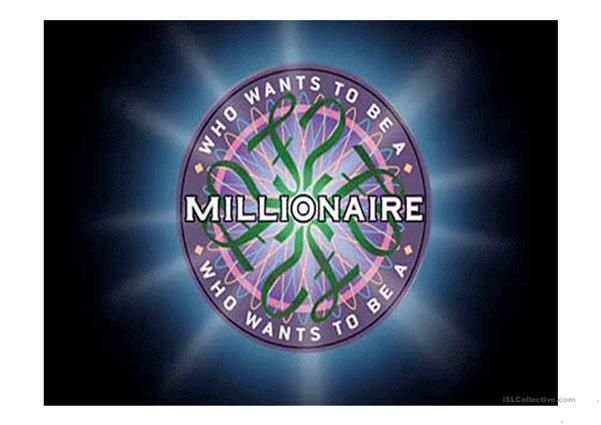 For extra speaking practice, I interviewed each contestant and asked them what they will do with the million dollars if they win. The really had fun with it! 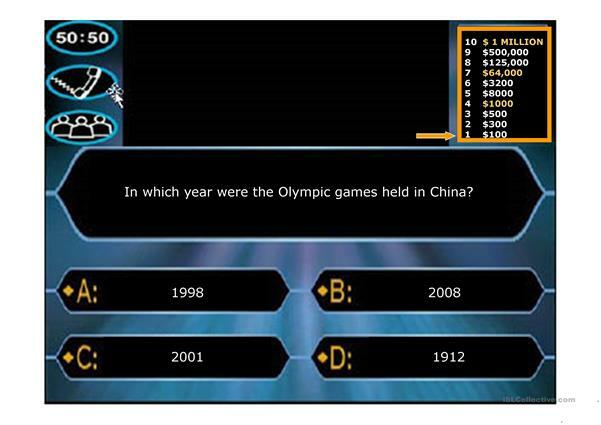 The present downloadable handout is best suited for high school students and adults at Elementary (A1), Pre-intermediate (A2) and Intermediate (B1) level. It is excellent for strengthening your pupils' Listening and Speaking skills. hlmarboe is from/lives in Vietnam and has been a member of iSLCollective since 2011-03-30 08:27:42. hlmarboe last logged in on 2018-11-02 10:36:49, and has shared 1 resources on iSLCollective so far.